There are hosts of reasons why you may wish to make your Blogger/ Blogspot gadget visible on the mobile view. Sometimes bloggers reject the mobile version of their Blogger/ Bogspot blog, simply because it allows only your posts and no other feature. 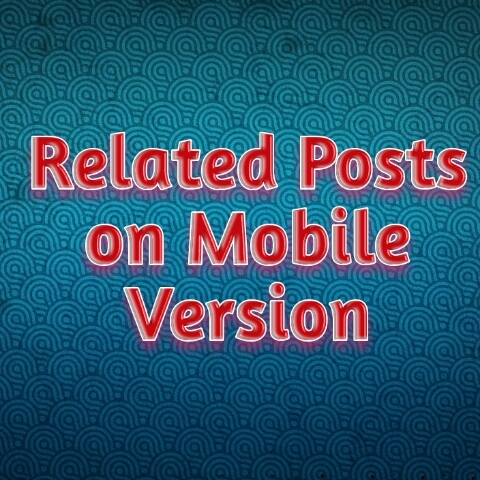 Just now you will uncover that almost all these features that makes you detest your Blogspot's mobile version can still be added there with just few steps. Now, without much waste of our precious time, lemme hammer the nail straight by teaching you on a step-by-step manner, how to manually make any Blogger/ Blogspot widget/gadget of your choice visible on your blog's mobile version. Step-by-Step Guide on How To Make Blogger Gadgets Visible on The Mobile View/ Version of Your Blog. 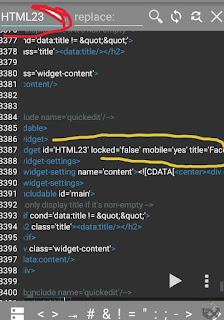 1) First, you will need to get the code of the particular gadget you want to make visible on your blog's mobile version. See how to get the code to a particular gadget here. 2) Once you've got the code, open your blogger/ blogspot's home page and select the "Theme" section. 3) Click on the "Edit Theme" and input the code you got earlier (i.e HTML23) in the search section i.e Ctrl+F and search for the code. *Your search result will show you the gadget you entered its code. 5) Now save your HTML editor and view the mobile version of your Blogger/ Blogspot blog to see that particular gadget visible and live. 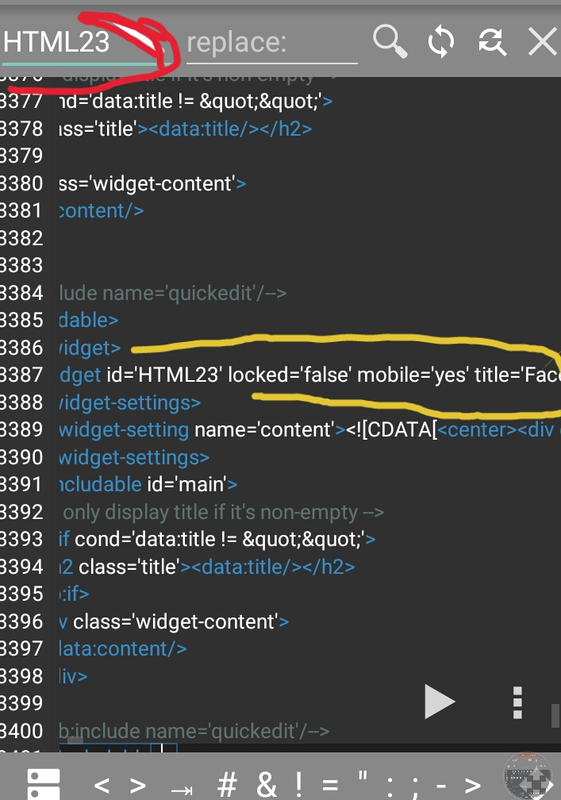 Note: Make sure there is something in the HTML gadget you want to make visible on the mobile version, so that you can know when its working. You can add an AdSense code to that gadget. I believe this my post helps you on how to manually make any Blogger/ Blogspot widget/gadget of your choice visible on your blog's mobile version. Thank me using the comments section, ask me questions if you have any, thanks for reading.